February 8, 2018 – Madison, WI and Minneapolis, MN – GrocerKey (www.grocerkey.com), an omni-commerce software and operations leader, today announced Twin Cities-based Kowalski’s Markets will be expanding its existing eCommerce program with GrocerKey to now include Mobile Self-Checkout capabilities for shopper self-service. This new feature will let shoppers scan and pay from their personal devices in-store. GrocerKey Mobile Self-Checkout expands the choices for shoppers using the successful Kowalski’s “On-the-Go” program, which currently offers online ordering, curbside pickup, and home delivery. 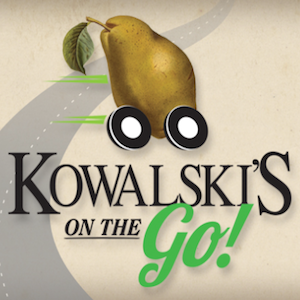 Mobile Self-Checkout will be announced on Kowalski’s On-The-Go website when it is available. Kowalski’s has pioneered innovation in merchandising, having selected GrocerKey in 2017 to digitally-enable its brand and its offers, and provide a more enhanced shopping experience. Previously hampered by tools that lacked sophistication and operational efficiency, Kowalski’s chose GrocerKey to provide a modern experience for shoppers online and in-store. GrocerKey’s comprehensive platform includes online browsing, eCommerce, picking, click & collect, home delivery, mobile apps, and now Mobile Self-Checkout.